Jack Frame was born in Chatham, Kent 1983 to Scottish parents and after graduating from the prestigious Glasgow School of Art in 2007, he returned to Kent where he now lives and works. Frame’s sell out degree show and subsequent win in the Jolomo Awards for landscape painting in 2009 really cemented his position as one of the most exciting young artists working today, and in the past few years he has amassed a keen following of collectors both in the UK and internationally. 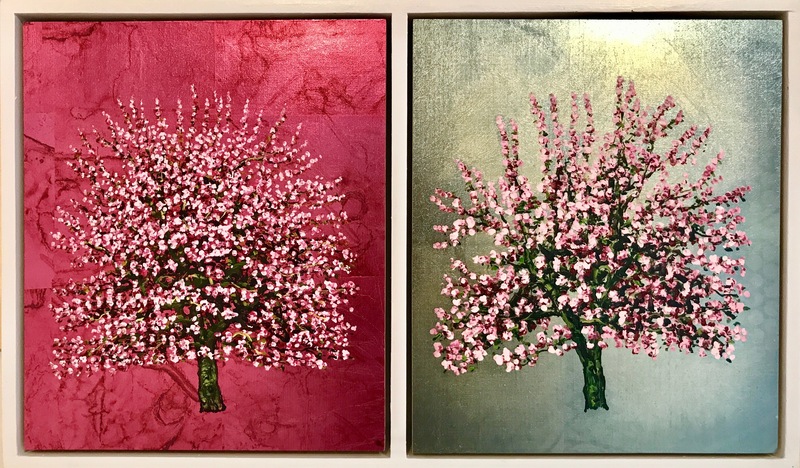 Jack has always been inspired and amazed by the landscape, the countryside around his hometown providing him with a wealth of inspirations for his paintings. 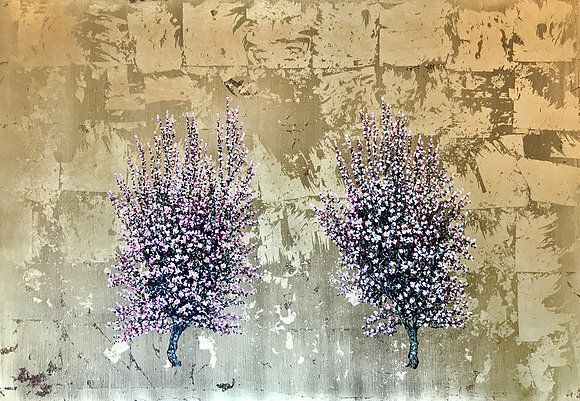 Jack describes himself like a magpie in his approach to his work, seeking out and homing in on certain features of the landscape which draw his attention. 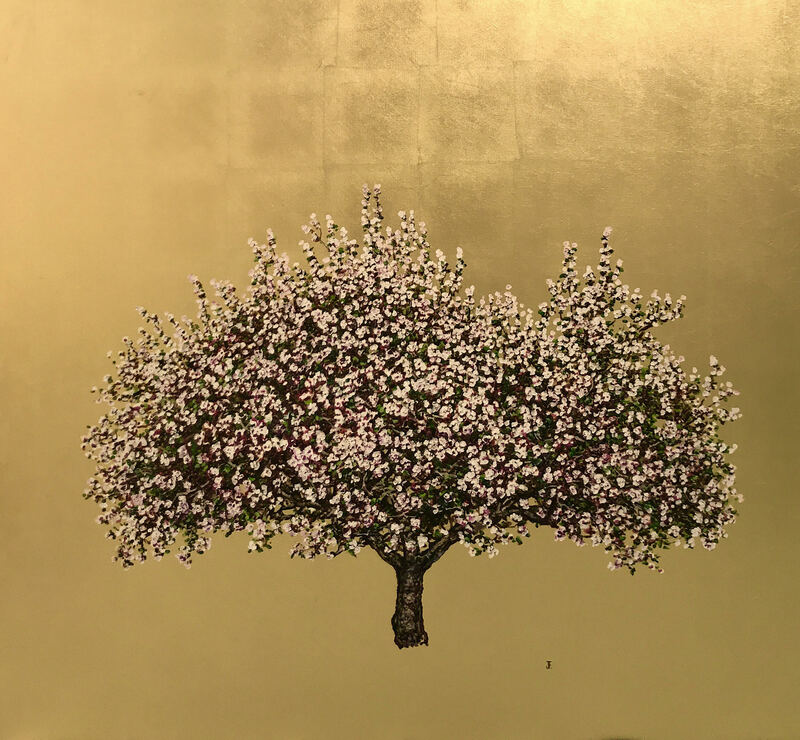 Trees have always been the main focal point of Jack’s work and in particular the blossom tree which has been painted as a recurring theme throughout his practice. 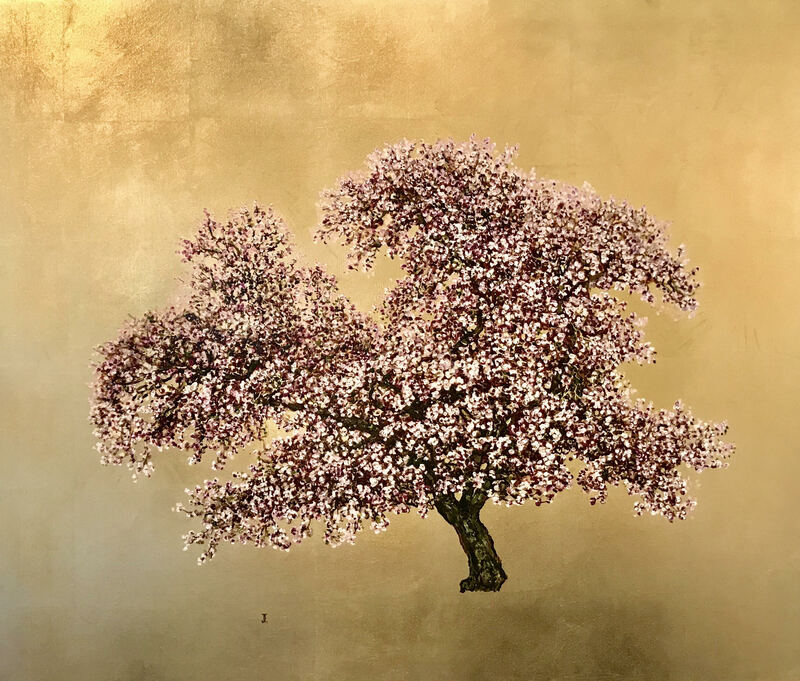 As if with the awe of a child, he paints these trees almost as monuments, as the compositional focal point of each work and often set against his trademark gold backdrop. 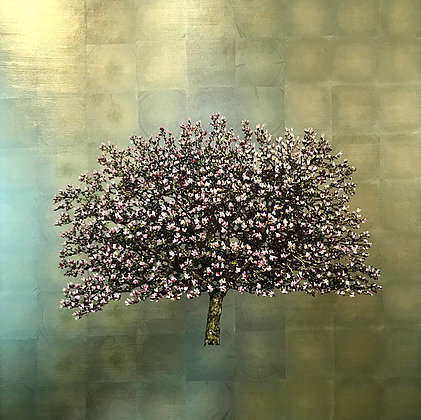 The use of metal leaf throughout his practice has become a distinct component of his unique style and one which is much loved by collectors. 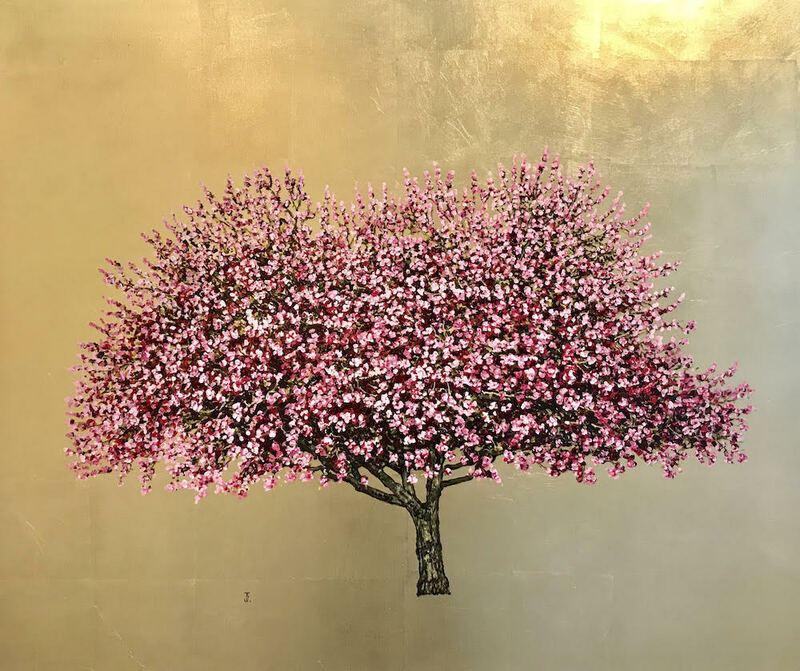 The blossom trees become symbolic of humanity, of the cycle of life and the value of our relationship with the natural world. Jack has of course been heavily influenced by the great landscape painters before him; Samuel Palmer and of course, Turner and Constable who’s influence can be seen in Jack’s use of light and atmospheric skies. With much success at still a young age, we are delighted to continue to present the work of Jack Frame and are excited to see how his unique style develops over the course of his career.